This basic set contains 10 pieces each of 14 different lengths. 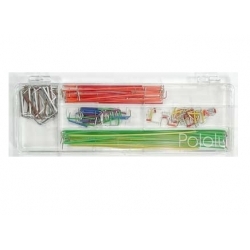 The small transparent plastic case has 5 compartments. The amount of wire is appropriate for smaller projects.